Mr. Gunn has participated in numerous music festivals including Bard, Tanglewood, Aspen, St. Bart's, Telluride Jazz Celebration, and Ashlawn-Highland Opera Company and is the Principal Clarinetist of the Sunflower Music Festival. 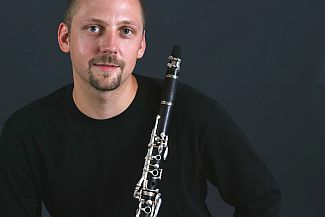 As a soloist, he has appeared with the Cincinnati Pops Orchestra, the Wheeling Symphony and the Fort Wayne Philharmonic and in August 2016, Mr. Gunn will be featured at the International Clarinet Association’s ClarinetFest performing the Copland Clarinet Concerto. As a chamber musician Jonathan is active around the United States, has performed as a member of Concert:Nova, and has played regularly on the Linton Chamber Music Series in Cincinnati.